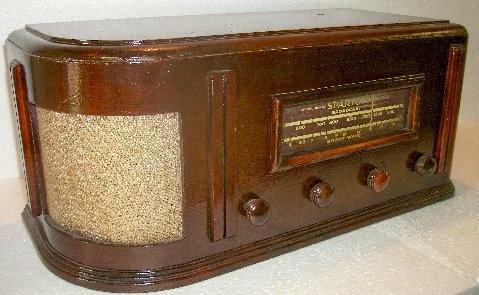 I believe this to be a 1938-39 radio. It works very well, loud and clear, no hum. 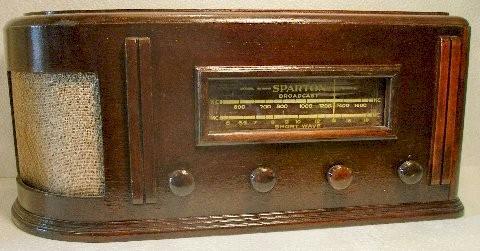 It has the early Sparton styling, good solid wood case which someone has tried to refinish. In checking I see that the electrolytic caps have been replaced with new, the chassis has a little rust, needs a good clean-up. You are visitor number 4,780 to this page.